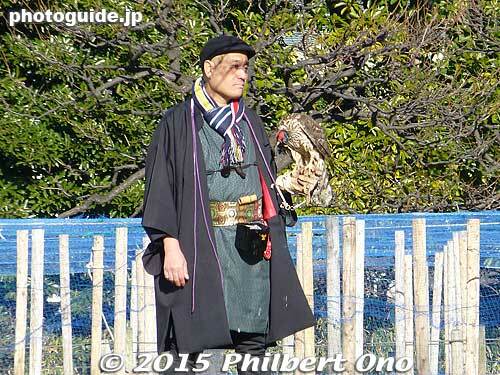 They don't use the same type of falconry birds that were used by Tokugawa shoguns. They now use Harris' hawks or red-tailed hawks imported to Japan. They are highly intelligent birds and can recognize human faces.